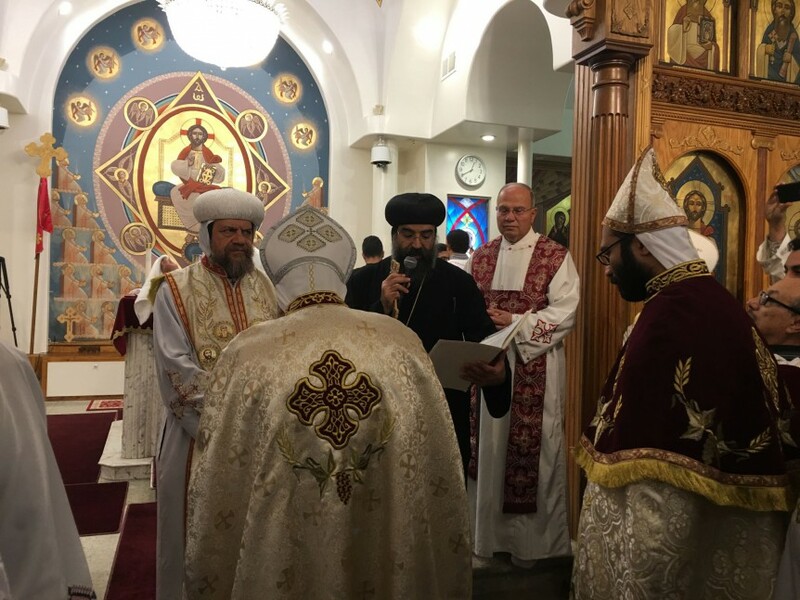 On Sunday, March 13, 2016, His Eminence Metropolitan Serapion and His Grace Bishop Karas, General Bishop and Papal Exarch in the Archdiocese of North America, laid hands upon and elevated Fr. Mauritius Mikhail to the priestly dignity of Hegumen as part of his continuing service at St. George Church in Bellflower. Fr. Mauritius was ordained in 1994 and began his service at St. George in 1996. Since then, he has actively served the flock there alongside his wife and daughters for many years. May God continue to bless his service as the Diocese rejoices in his elevation.